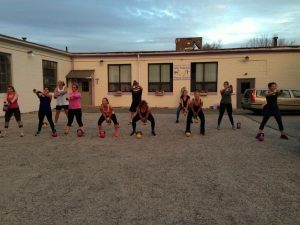 We specialize in transforming bodies through dynamic training with Russian Kettlebells. Kettlebell training is great for cardio. There is no better way to burn fat than with a few high rep sets of kettlebell swings, snatches, clean and jerks. These killer ballistic exercises work your body as one unit and require a great deal of hard work. The harder you work the more calories you burn. This is why sprinters and marathon runners are always in tip-top shape. Once you start doing a power swing, you’ll be huffing and puffing in less than 2 minutes and your heart will be pounding. 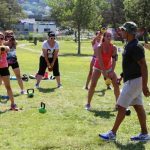 Kettlebell training promotes general health and fitness plus anti-aging. 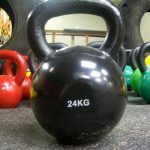 Kettlebell workouts are famous for burning fat for fun as a combination of their calorific cost and increasing lean muscle mass, while building better balance and grace. It can also battle mental stress and anxieties due to the daily grind. Through kettlebell training, resistance is developed and stress is released. The best part is that the routines take less than 20 minutes a day. Perfect for anyone with a busy schedule. It promotes mobility and movement variety. These short workouts increase your muscular flexibility and lessens the chance of muscle and joint injuries. Develop strong lower back health and positive posture. Kettlebell work outs leave you feeling graceful and balanced. Additionally, it also prevents back, neck and shoulder injuries. You’d be really proud to “stand-up straight” and flaunt your shape and posture! We provide custom services that are tailored to meet the needs of any individual or group. Training options range from weekly classes to personalized routines that prepare you for any fitness challenge you desire. Six week Beginner Kettlebell and Weight Loss Program $100. Package includes 3 Kettlebell classes per week, unlimited Spin classes and weekly weigh-in with a diet to guide you through the 6 weeks.